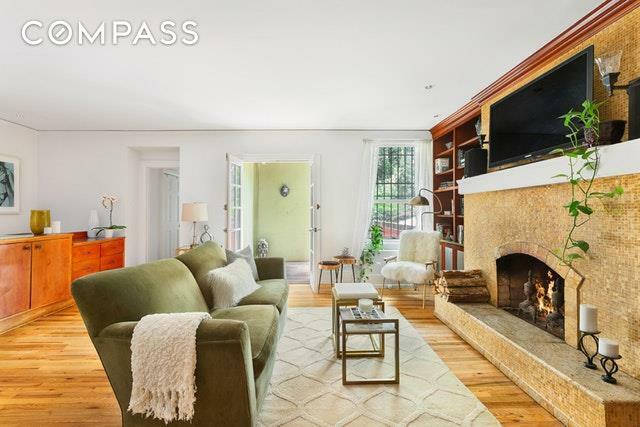 Offered for the first time in 15 years, a spectacular pet friendly duplex with a private garden in the historic Fitzroy Townhouses in the heart of West Chelsea.This serene 2-bedroom home has been completely renovated and features a wood-burning fireplace, a cooks kitchen, 2 full baths, custom cabinetry throughout and a two-level outdoor space.A spacious living and dining area are perfect for entertaining. French doors open onto a delightful brick patio surrounded by neighboring ivy with room to satisfy your green thumb and enjoy meals alfresco. 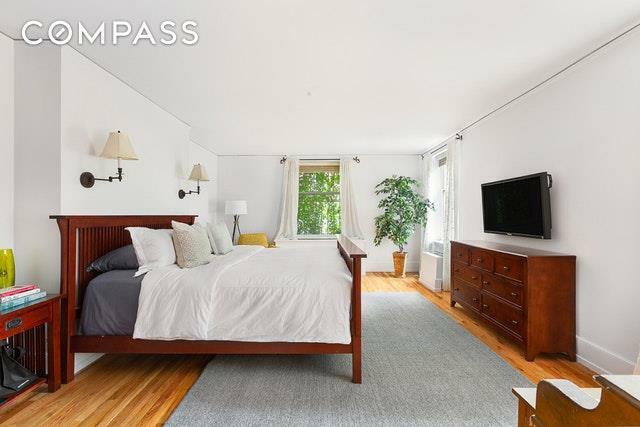 Also on this level, the South-facing master bedroom with a large walk-in closet and enough room for a California king bed. There is also a sitting area that overlooks the serene backyard. Downstairs, a second bedroom has French doors that also open to the backyard. 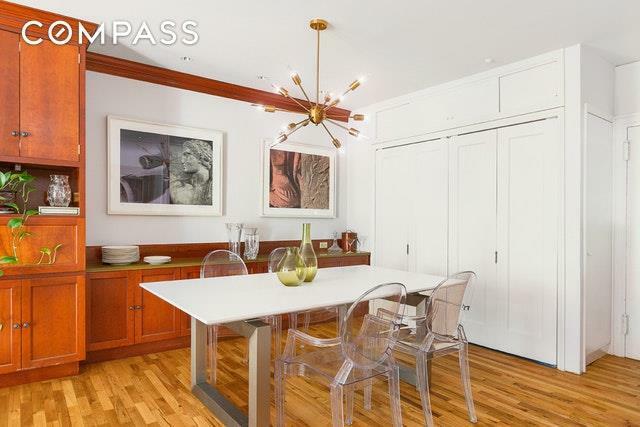 On this level is a chic office with built-in shelving, a second full bath, and a washer and dryer. This entire floor can be easily opened up to create a second large bedroom suite, or theater / entertainment room. 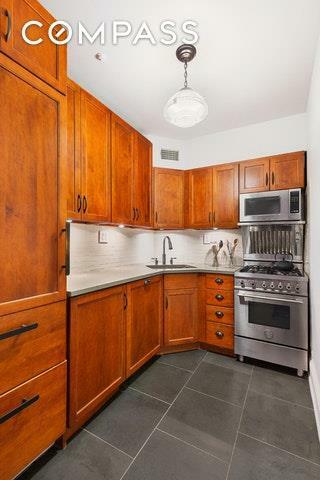 426 West 23rd Street is a well-established and managed, pet-friendly co-op. Recently completed capital improvements include a new roof, new boiler and hot water heaters. With funding from the ample reserve fund, plans are underway to re-landscape the front garden, as well as update the halls and stairways. The Fitzroy rows of grand Italianate townhouses were built in the mid-1850s and referred to as "Millionaires Row at the time. These wonderful landmark buildings are protected by the New York City Landmark Preservation Commission.Today, West Chelsea continues to be a thriving art and culture hub of Manhattan. On Saturdays, pick up fresh fruit and vegetables at the weekly farmers market across the street, and enjoy a stroll through tree-lined streets of West Chelsea. Take a walk down to The Highline, check out a gallery opening, and enjoy a world-class restaurant scene of downtowns hottest foodie neighborhood.